Karf Oohlu has produced an absolutely wonderful little scene, which could easily be a piece of art. 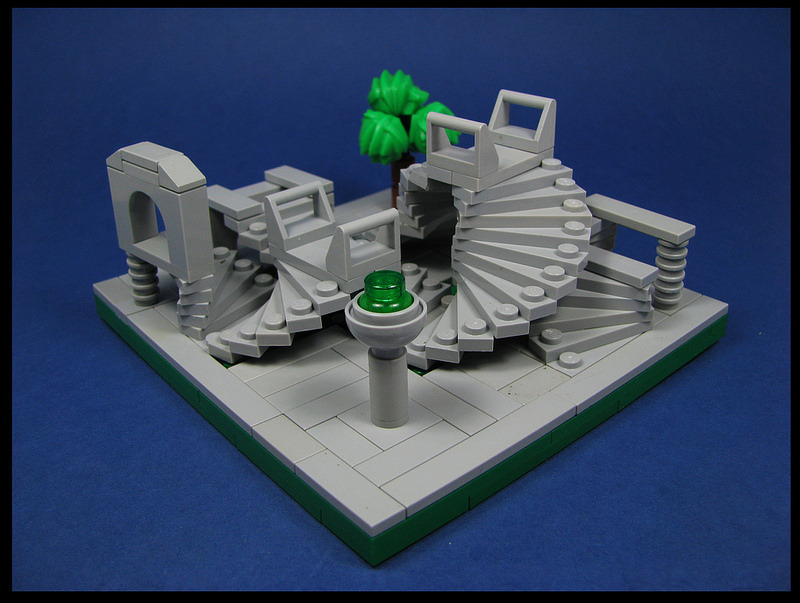 This microscale diorama of grey stairs reminds me a lot of Hera’s Garden in God of War 3. It’s a rather simple build with the 1×1 plates with two studs serving as the basis for the stairs, and some nice touches such as the Exo-Force hair pieces for the tree. Thank you for that Clintonmuch appreciated….um, but no invite to the Brothers\’s Group….oh well.